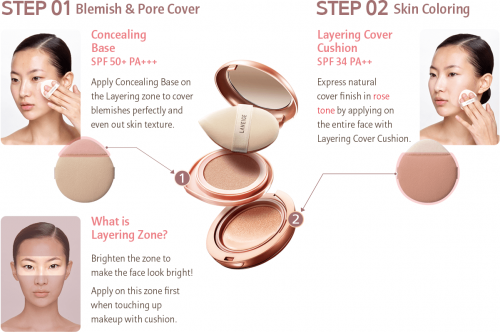 LANEIGE Layering Cover Cushion comes with a matching concealer shade; making it an innovative, dual functioning cushion! Both the concealing base and the cushion give a full coverage and contain SPF to protect your skin from UVA and UVB rays. 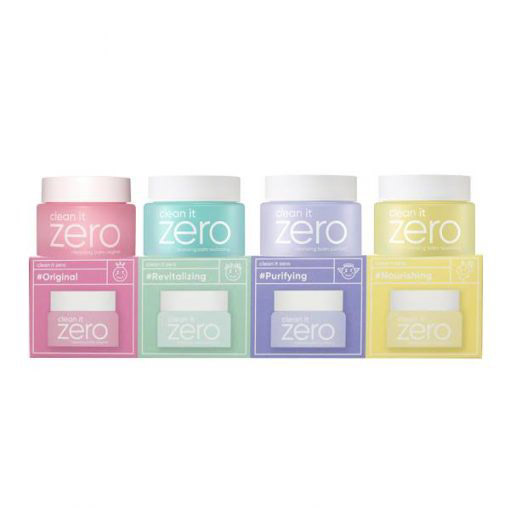 This cushion delivers moisture and has also been clinically tested to be sweat-proof. Available in 2 shades. Suited for all skin types. If you purchase this product you will earn 43 Points! This cushion foundation will give you the perfect coverage. It’s a 2 in 1 cushion because the foundation comes with a matching concealer shade, allowing you to conveniently layer on concealer and foundation in one compact. It will effectively conceal blemishes, pigmentation and redness as well as even your skin tone. This cushion has been clinically tested and proved to provide long lasting cover and sun protection for up to 12 hours. The cushion puff also has a dual function. The tip of the puff is a concealer puff. It’s unique shape allows for easier application around the tips of your eyes and sides of your nose. This part of the sponge is also designed to give a semi-matte finish. The base of the sponge is an air puff, used to apply the foundation and give a dewy, radiant finish. The concealing base (left compartment) uses an Aqua Melting Technology that melts the concealer as soon as it touches your skin. This allows it to adhere to your skin and blend perfectly. It conceals blemishes and pores, and contains SPF50+ PA+++. The cushion (right compartment) is formulated with French Sparkling Water, Hydro Ion Mineral Water and Lychee Fruit Extract to keep your skin hydrated and cool. It has a rose tone to correct yellow undertones and contains SPF34+ PA++. This helps you achieve a bright and vibrant look while also protecting your skin. The concealer and cushion can be layered on differently to give different finishes. For a semi-matte finish, use the concealing base first and then the cushion. For a completely matte finish, use the cushion first and then the concealing base. Blend in with the tip of the puff. For a complete dewy, radiant finish, use only the cushion and blend with the base of the cushion. Using the tip of the Laneige puff, apply the concealer (left compartment) to cover any blemishes, dark eye circles and pores. 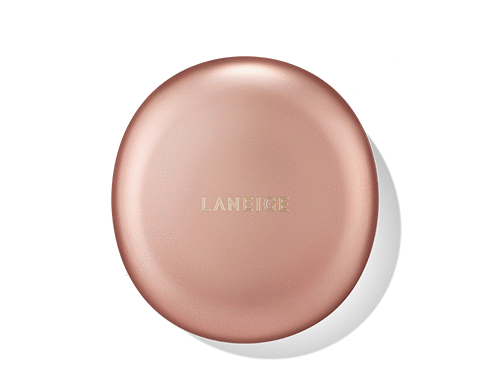 Using the base of the Laneige puff, apply the foundation (right compartment) over your entire face. Keep using the puff to gently pat in the product until completely blended.